We sell a range of products used for jointing, filling and making good. Lightweight ready mixed jointing compound. Excellent workability, low shrinkage and easy sanding. Easi-Fill 20 is ideal for quick filling and snagging. A plasterboard finishing compound specially developed for hand and machine jointing. Gypsum-based setting compound for bulk and secondary filling of plasterboard joints. Gyproc Easi-Fill for filling and finishing of joints. Universal texture for use on walls and ceilings. 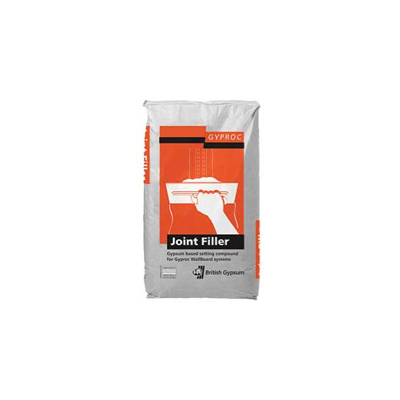 Easi-Fill 45 is ideal for small jointing jobs.